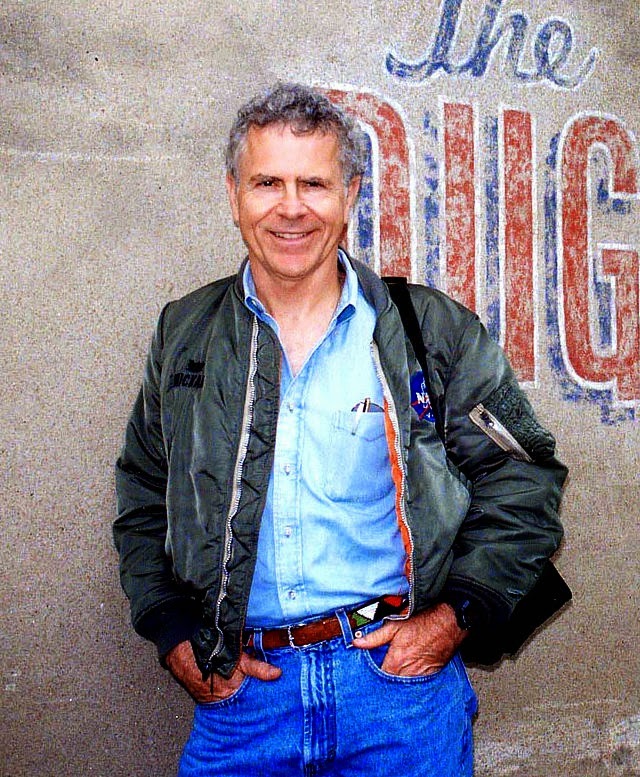 Homer Hickam est un écrivain américain, ancien militaire engagé au Vietnam et ancien ingénieur de la NASA. Depuis qu’il est enfant, il est passionné par les fusées, et avec des camarades, il a conçu et lancé plusieurs engins différents, remportant des prix nationaux. Un des éléments déclencheurs d’une véritable passion pour l’espace, a été le lancement de Spoutnik 1 en octobre 1957. Il passe un diplôme en ingénierie industrielle à Virginia Tech. Après avoir servi au Vietnam, il intègre l’US Army Aviation and Missile Command à Huntsville entre 1971 et 1978 où il travaille comme ingénieur, puis sera 3 années en Allemagne, toujours comme ingénieur, pour la 7th Army Training Command. Passionné de plongée sous-marine très jeune, il est instructeur aussi très jeune. En 1981, il entre à la NASA, au Marshall Space Flight Center. Il entrainera les astronautes pour les EVA des missions Spacelab, Hubble, Solar Max, Spacelab-J entre autres. Il quitte la NASA en 1998 où il était devenu le Payload Training Manager pour la Station Spatiale Internationale. Il se consacre depuis à l’écriture. Il a commencé à écrire très jeune, des nouvelles, des articles, notamment sur la plongée. 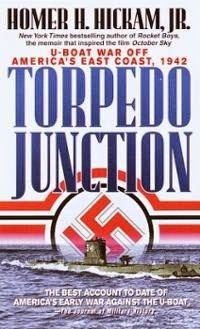 En 1989, parait son premier livre Torpedo Junction, relatant le combat contre les U-boots lors de la 2ème guerre mondiale. Il connait un véritable succès et une reconnaissance mondiale avec la parution de son 2ème roman, Rocket Boys, en 1998, qui relate son enfance en tant que fils de mineur qui deviendra ingénieur à la NASA. Le livre sera plébiscité par le public et la critique. Le New York Times le nomme même un des meilleurs livres de 1998. Le livre est l’objet également de nombreuses récompenses et nominations. En 1999, Universal Studios en fait un film October Sky (anagramme de Rockets Boys et aussi référence à ce qui a poussé Hickam à aimer l’espace : le lancement de Spoutnik 1) qui sera également très bien accueilli par la critique et le public. Avec Jake Gyllenhaal dans le rôle-titre. En 1999, parait également sa première fiction spatiale : Back to Moon. Ce techno-thriller raconte le détournement de la navette spatiale Columbia pour retourner sur la Lune à l’endroit exact où Harrison Schmitt lors de sa 2ème EVA avec Apollo 17 aurait trouvé de la poussière lunaire orange. 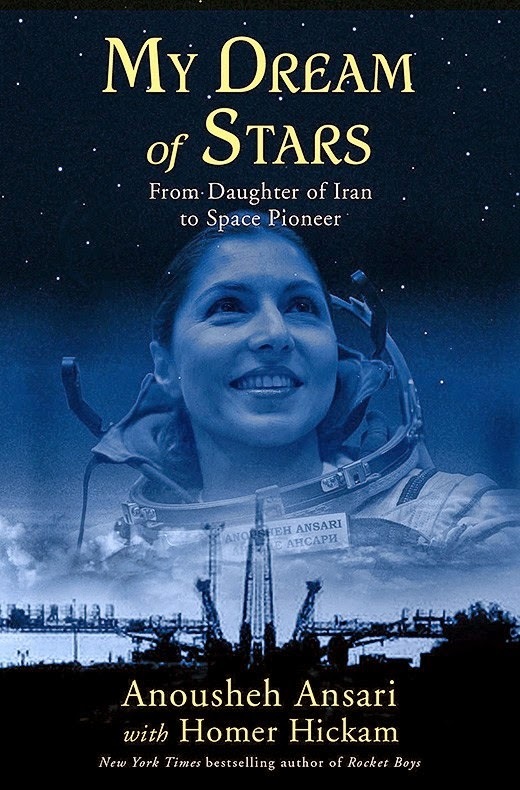 Il a écrit depuis plusieurs ouvrages (notamment sur sa ville de naissance Coalwood et sur les mines) et en 2010, il est le co-auteur de la biographie d’Anousheh Ansari My Dream of Stars, qui est devenue la première femme ‘’touriste’’ de l’espace. Passionné aussi de paléontologie, il a publié en 2010 The Dinosaur Haunter. Depuis 2012, il publie un cycle de nouvelles dans une collection intitulée : Helium-3 Series. 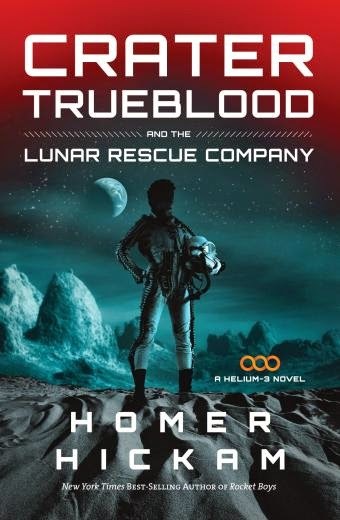 Crescent et Crater sont déjà publiés et dans quelques jours sortira Crater Trueblood and The Lunar Rescue Company. Plus d’infos sur son site où vous pouvez notamment commander certains de ses ouvrages. Why have you decided to work in NASA as Aerospace Engineer and continue in same time your writer career ? I was always a writer, even when I worked for NASA. I live to read and that naturally led to also wanting to write. Many of my teachers believed that I would make my living as a writer and were surprise when I decided to become an engineer. The reason for that is in my memoir titled Rocket Boys. Fortunately, I was able to combine both careers. I left NASA in 1998 so now I am free to write all the time ! For more on my story, please go to www.homerhickam.com. Why have you choose to became EVA training specialist, and not other(s) space worker ? One of the things I did besides work for NASA and write books was to be a scuba instructor. I dived around the world in many places just like Jacques Cousteau, the famous French underwater explorer ! 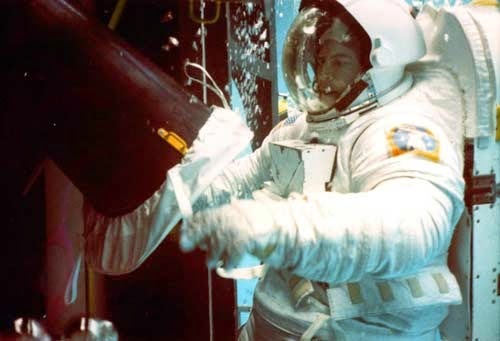 When I worked for NASA, I had an opportunity to work in a big water tank called the Neutral Buoyancy Simulator where we trained astronauts to work in space by using buoyancy of water to simulate weightlessness. Since I was already a scuba instructor, it was very easy for me to go underwater for this purpose. Not only that, it was a lot of fun ! I suppose you would like to go in space. But why ? I would love to go into space because of the adventure and the unique view. Those are just my personal reasons. For humankind to go should be to explore and live and work on others worlds. My recommended first place to live and work : The Moon ! Did you think it’s important for the manking to have a step in space, to send man in space, and why ? There are so many resources to be gained there, especially the Moon, and we should be going after it. These resources include Helium-3 (fuel for fusion reactors), Thorium, Titanium, maybe even gold ! By going outward, we may solve so many troubles back on Earth because it might change the way we think of everything ! Perhaps if we were all working hard to solve the problems of living in space, we’d decide not to quarrel amongst ourselves ! What represent for you Apollo 11 and which memory(ies) have you of this event ? During Apollo 11 and most of the Apollo missions, I was in the United States Army serving in Vietnam and around the world. I was proud of my country for building the capability to go to the moon but I wasn’t directly involved. What is your most incredible space dream ? I would like to live long enough to see a mining community on the moon similar to the one I grew up in, Coalwood, West Virginia. I even wrote about it in my Helium-3 young adult book set on the Moon a hundred years in the future (www.helium3novels.com). What is for you the most incredible space object ? I really think the Moon is incredible and think we should have towns here by now. But probably the most intriguing object out there is Titan, one of Saturn’s moons. It has lakes if what is essentially gasoline ! What has been your feeling when you have understood your book Rocket Boys was became a best-seller and many many people have loved this book ? When Rocket Boys became the number one book sold everywhere, it was a dream come true ! 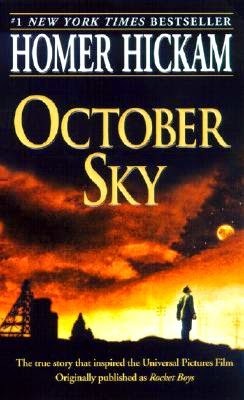 I was happy that so many people wanted to read it and pleased that it became the movie title October Sky. Now, I love that it si still very popular and lots of people say is their favorite book of all time. 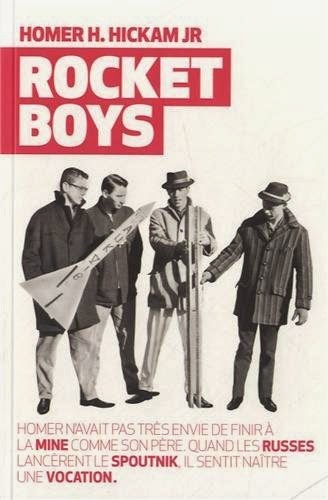 By the way, there is a French version of Rocket Boys ! Why have you accepted to write a book with Anousheh Ansari ? I thought Anousheh had a very interesting and inspiring story and therefore wanted to help her write about it. She contacted me before she flew into space, not about a book but just to let me know what she was about to do. When I followed her flight, I was very impressed by how well she did. Later, I learned how hard she had to fight to get to go into space. It was a great story and I was pleased to help her write about it. Every summer, I go out to the state of Montana and help paleontologists hunt and dig up dinosaur bones. 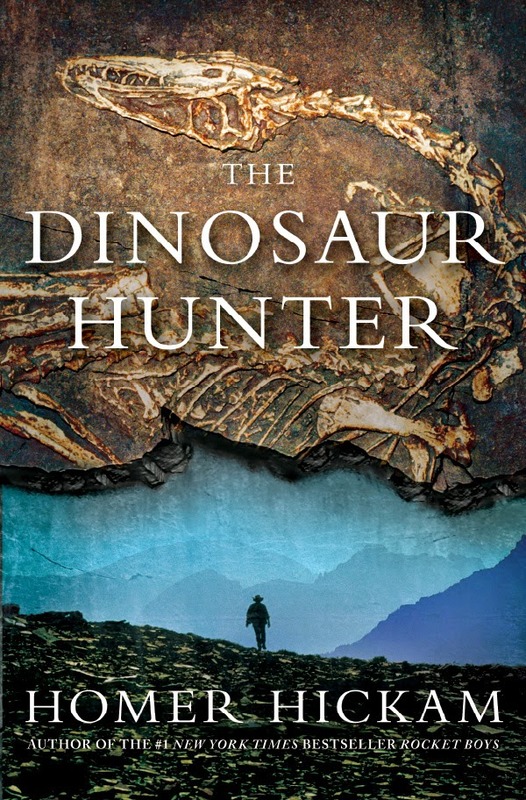 I love it and even wrote a book bases on this work called The Dinosaur Hunter. However, paleontology for me is a fun hobby and not my life’s calling. That is space (and writing) !